R U OK? 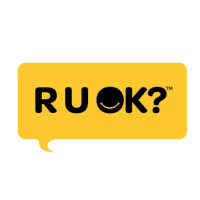 is a national suicide prevention charity inspiring and empowering Australians to connect and have regular, meaningful conversations with anyone who might be struggling. To fundraise for us, click FUNDRAISE - as Individual or as Team, tell your supporters what you're doing, and you're ready to go! Or click DONATE to make a one-off - or regular - donation. Thank you for helping us increase our capacity to reach more Australians, inspire regular, meaningful conversations every day of the year, and ultimately save lives.